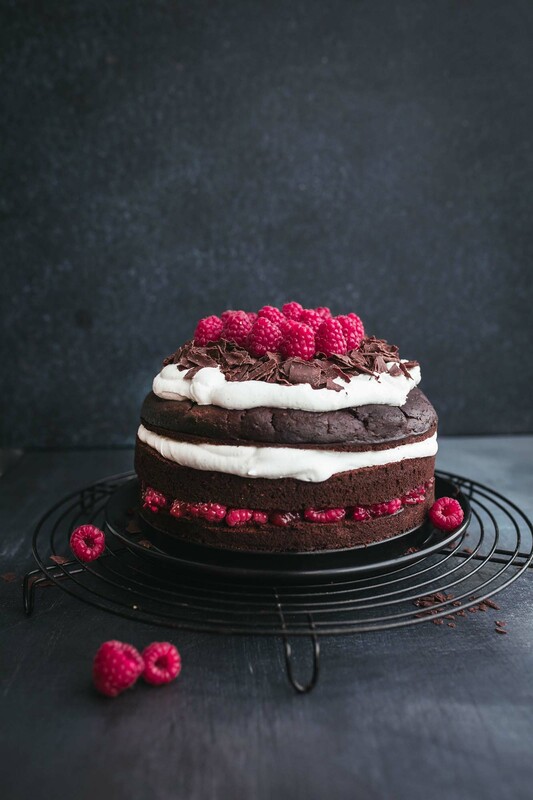 This vegan Black Forest Cake with Raspberries version is made with spelt flour, refined sugar-free and therefore much more nutritious than the original version.Well, first of all, I need to confess that I exchange the traditional cherries with some late summer raspberries. I don’t like cherries in cakes don’t ask me why. 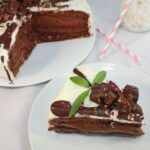 As many of you might don’t know; black forest cake is my favorite cake! 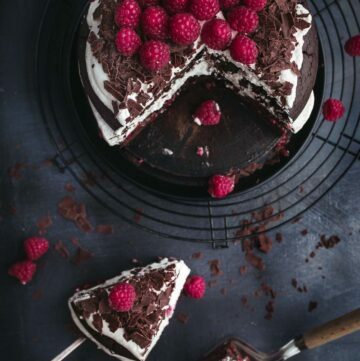 I like the layers of thick cream combined with a deep chocolate cake, lightened up with fresh tangy raspberries. 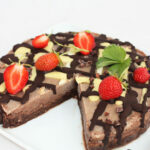 The cake actually looks more difficult but it is super easy to make! You make one basic cake and slice it into 3 round pieces. Then you whip up the cream, layer the cake and tada finished! 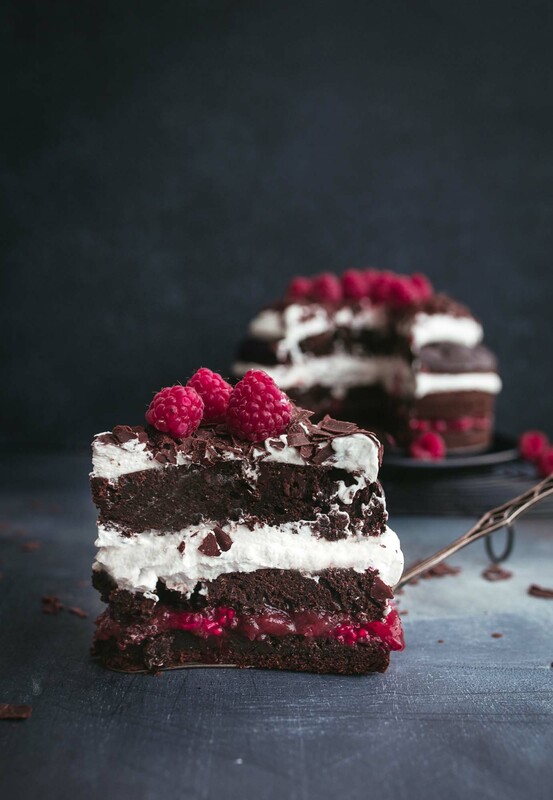 If you have time I recommend making this Vegan Black Forest Cake with Raspberries while you are reading this. 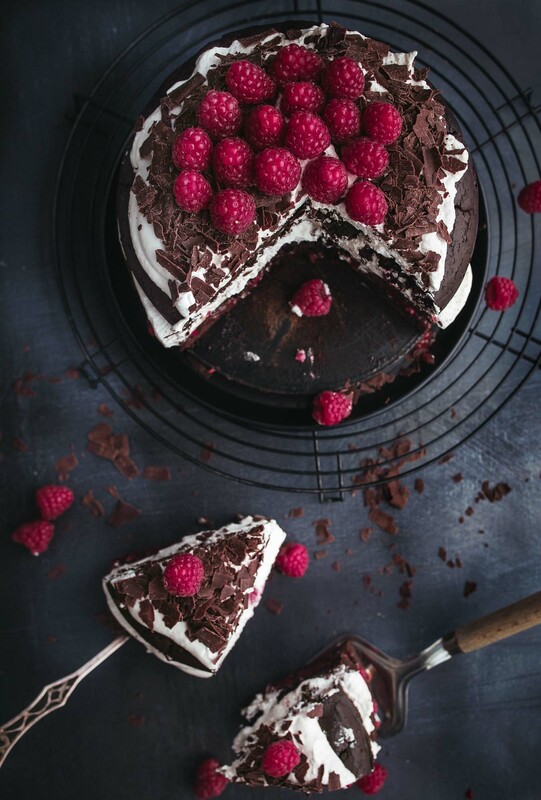 Otherwise (you better come up with a good excuse), you can save the picture below to your Pinterest Board and find the recipe later 🙂 You can find me under my name Vanillacrunnch if you are interested in seeing all my Pinterest boards for inspiration. 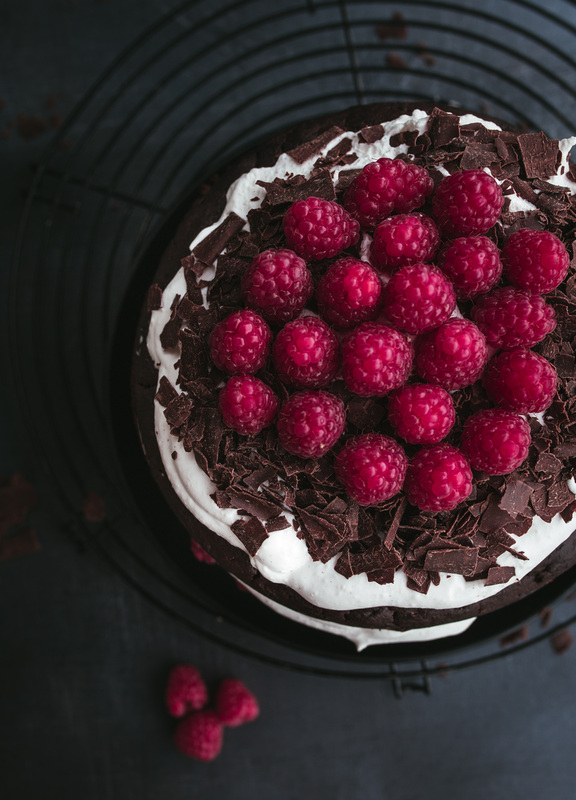 I am looking forward to seeing your creation on Instagram (Tag me @vanillacrunnch ) or you can use the hashtag #bakingwithvanillacrunnch or and leave a comment here and put a smile on my face. Preheat your oven to 355F and oil brush your cake pan. For the second layer whip the cream with the powdered sugar and vanilla and spread. Hi it looks so delicious!! can I ask you what you mean with soy cream? it’s the vegetal whipped cream? Could you tell me what is the size of the pan?